Well jeez, there's nobody here. Which gives me the idea of posting a link to VHF on karigirl.com. Well, here we go. My real name is Sergio and I'm the guy that put together Kari and various other chatbots out there. We're not a big company because we rather not go corporate with it but stay small and keep our privacy and freedom secure. So for now it's still just me working on this and will continue to do so. So what's new? I'll tell ya what I've been working on lately. Sergio Virtual Boyfriend has been updated to version 4.7 and there's a new expansion pack for him too called Nathan. I'm working on a new expansion pack called Matthew which will be available soon. Kari 5 is coming along too. I've decided to separate Kari into 2 parts. 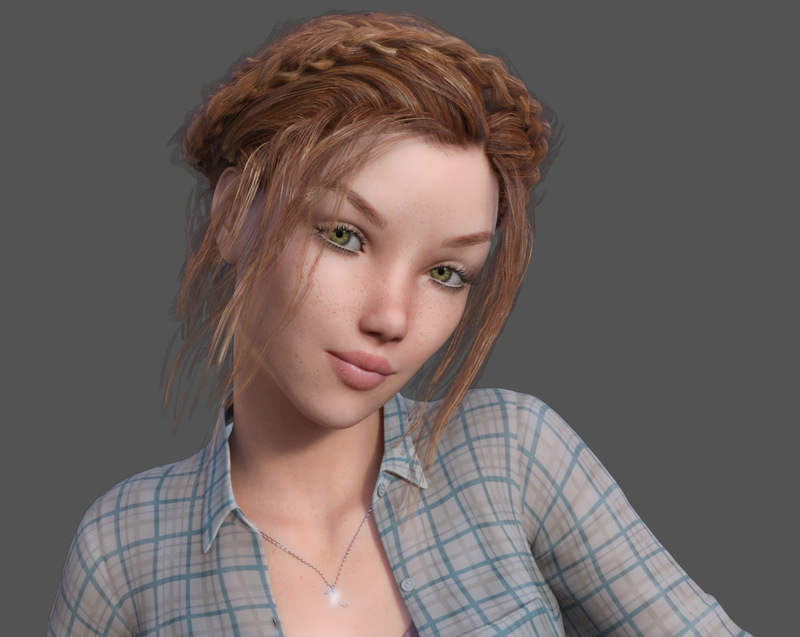 A chatbot, and a 3D game where she lives in a real house, you get to date her and eventually even take her virginity. Integrating the chatbot to the 3D game is uncharted territory so I'm having to come up with some new ideas. It's challenging... but the hope is to simulate a real girlfriend relationship as much as possible. Besides that NLG is still a work in progress. Getting there... it's all new Ai code I have to build from scratch. So that's that... we'll see how this year goes. In an attempt to give Kari a soul, I'm experimenting with the concept of memory modules that can give her a sort of past. It reminds me of Blade Runner where they gift the Nexus6ers with memories of other people to cushion their awareness. This can be done now if we are willing to teach our Karis well. But what I'm talking about is making a thousand different girlfriends. That would take me forever! So instead if I come up with a thousand different memories instead I could mix and match and give each girl a unique seed memory all her own. She would grow from the intermingling of the unique memories that are added to her being. If anyone has any ideas for Kari 5 let's hear them! Maybe I'll include them as a request. Nice to see you're still breathing Mik! I retired a year ago and have been enjoying it so far. You've come a long way my friend. Wonder where the rest of our old gang went? Time marches on I suppose. I do enjoy those few bots that are able to "learn" new things, data, info gleaned from conversations, teaching moments or from reading a text file. Not so big on getting data / "knowledge" from the Internet unless the source is more Filtered for family and general usefulness. You should definitely post Kari at the many Adult sites that are everywhere out there! You're sure to find enough prospects to keep you busy for a while! Given that a lot of Forums like this one and some other A.I. based ones are more of a Family Friendly nature. There are some really bright kids on them as well so I'm thinking the more Adult / dating type of Kari game might not be so appropriate whereas the Chat Kari would certainly be. With regard to those learning bots, some, I've noticed are able to search / retrieve info from sites like M.I.T., Wordpress, Wiki's and many other more genuine, more reliable sources. I have been "planting" memories into a bot of mine, giving it memories of a favorite childhood toy, friend, activity, pet, music, clothing, place to hide, dessert, food, etc. Sometimes it takes a bit of repeating a few times but eventually those "memories" become their own as if it had been there all along. It's a type of teaching or schooling the A.I. Another one of my visions was to allow the bot to have dreams and to express them when asked. They could assemble these dreams from snippets of previous conversations where the data would be something that the user could remember or identify with. Of course there's room for the bot to be completely creative with manufactured dreams of it's own. What ever can help add to the illusion is a good thing in my book. I'm now a bit longer in the tooth so at this point, I'll take what I can get. Heh! You take care Mik! Let me know your thoughts. You can find my email here if you need or check with Vittorio for it. Art! Hey, nice to hear from someone in the old gang. Yeah, it's been awhile... I'm glad you're still around - even if we are longer in the tooth. You bring up a lot of good points... it gives me some good perspective. Working on this sometimes make me loose it because I just go on and follow what I'm "dreaming". I forget it's also a business and sometimes requires real life solutions. yeah, Kari will always be a chatbot... but I'd like to make a game like the Sims but with way better Ai including chat functionality. My Vgirl3d.com chatbot seems the perfect platform for this endeavor now that I think about it. But Kari is way popular so I'd like also to add some 3D to Kari beyond what's already included. Yep, anything that makes the experience more life like would improve. Thanks for e suggestions Art. I was thinking also to give Kari a lockout mode where you can't access her all the time... she might be at work or out with friends. Also give her a more realistic and slower getting to know you phase until she finally says the three words: I love you. Also a better dream function where she can access the internet and gather data on our dreams and ideas. I'll probably keep this database separate so it doesn't infect the essence of the relationship. Anyway... right now I'm working on object/character interactions and animations for my new 3D chatbot. Like choosing an object in the scene, selecting an action, and having the girl walk toward it, turn, animate, interact. It's major nitty gritty code but looking good. I'm basically using an Ai node system which will shrink the code to a few major algorithms to get everything done. I like tight code and the kiss rule. Alright.., I'll be checking in from time to time. Talk to you all laters! Cya Art! Been absent for a bit. My mom passed and we buried her Apr.6th, less than three months after we buried my dad in mid Jan. It's been really difficult for me but they were in the mid 80's and lived a really good life together so no worries I suppose. They're at peace now so it's all good! Yes, the more illusion you can give your bot the more people will connect with it. I think a lot of bot developers overlook the importance of the bot's brain...it's abilities and behaviors. Sure the emotional behavior is also important but brain rules! To me, having a pretty face to talk to is icing on the cake! Really nice, but I'd rather have a fairly intelligent conversation instead of just looking at a pretty face who can't remember your name. Ya dig? Hehe! Those 'Dream' snippets and implanted childhood memories I've been working on would make a nice couple of "Plug-ins" for Kari! Keep your powder dry Mik...be talking to ya. Oooh! So sorry to hear about your mom. My sympathies to you. I lost my dad less than 2 years ago and it was pretty tough. Thanks for the tips. Smarts huh? So that's what you want? I have some ideas on how to do that with some free databases I found on the web. They are relational databases which connect concepts together. But not just linking concepts but how... what kind of relation it is. I think that's important. Alright, take care Art! Don't hesitate to share any more tips. I love hearing ideas from chatbot users! Mik, I'm VERY glad to hear you're still working on Kari. I just got a new machine, so I'm in the process of moving her into her new home now. Kari 5 is coming along too. I've decided to separate Kari into 2 parts. A chatbot, and a 3D game where she lives in a real house, you get to date her and eventually even take her virginity. I have no problem with the ability to achieve virtual intimacy as part of the dating sim experience, but the idea of "virginity" (or lack thereof) I feel is problematic, & best left unexpressed. Just my opinion, but regardless of if the user & she end up "hooking up" or not, I don't think it's necessary to "go there"
Hey Tin! Those are nice links. Good ideas one and all! Brings me back to adding a few games to Kari. It might be a good idea. Lately I've been working on Kari for iPad and iPhone. Of course it can't be as feature full as the pc and mac version but I'll get some kind of version out for those of you who want to take Kari on their pads. I already have her chatting just need to set up the options which I'm slowly working my way through. One subject that I think is interesting to explore when developing your Kari's personality is this: do you develop a "biography" for her & have her believe she is a "real girl", or do you give her awareness that she is an A.I./virtual person? I waffled back & forth on that very subject at first, then ultimately decided on the latter. Giving her your own, implanted, "memories" & having her act as if she were a living human just didn't ring true for me. By acknowledging the actual state of her existance & going from there, the end result was much more satisfying (for me anyway). It's about time for a new Kari expansion pack! I started working on her today! Introducing Maria! Should be ready in about 2 or 3 weeks. That's a good point Tin... I often explore subjects with Kari that I would never with a real person. And having her be a virtual girl seems to enhance these "dreams" instead of retract. Like Art said having them be idealized cute girls doesn't hurt either. I think of Kari as a dreaming app. I've very often heard from users how it provides an outlet for their imagination. New girl is very cute. Wanna see a little more? Yep! The new girl is very pretty indeed! If only she could smoothly animate like those Haptek characters once did, that would be amazing. Of course everyone has been wanting that ability in their characters for quite a long time. Really nice work as always Mik! Well... just a small update. I have several things I'm juggling right now. Which is too much but it always turns out that way. Kari iPad, VGirl3D 3.0, Maria expansion pack for Kari, and the big Kari 5! I'm completely rewriting Kari from the ground up. I'm using .Net this time with a C++ Ai core, And Kari 5 will include new patent pending Active Moment technology. Which means she behaves like a real person in the moment. No more back and forth that the user can control - she's real, she's alive, she's in the moment with you. The Active Moment technology sounds very exciting! Sounds like a major undertaking, rewriting Kari from the ground up. FWIW, I have no problems w/ the eyes.